Checkers® have been making wheel chocks in all shapes and sizes since the mid 1980’s, they are an industry leader in design and development, they have set standards for chocks both in the quality of product and application. 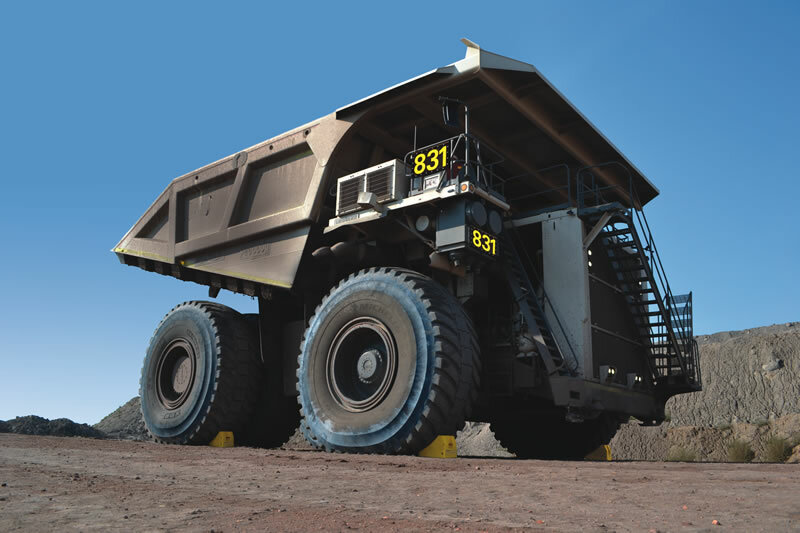 Their range incorporates chocks suited to almost all sizes and types of vehicles, including heavy mining equipment, aircraft, and general purpose road vehicle chocks. 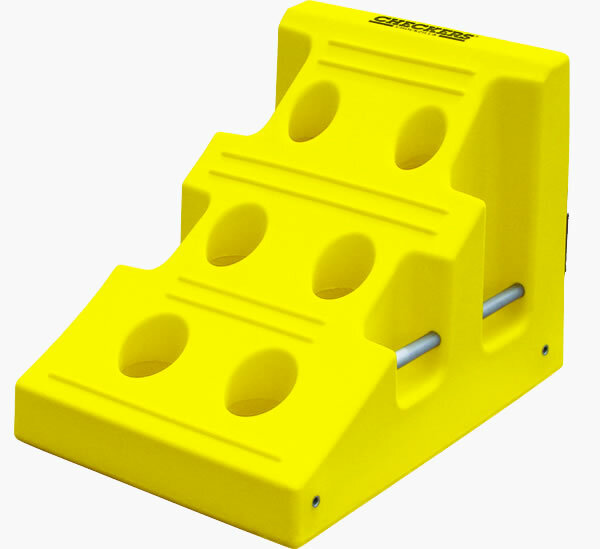 All of the Checkers® wheel chock range when used correctly, and at the appropriate grade are suited to use under OSHA (Occupational Safety and Health), with some of the MONSTER® range of chocks being suited to use under MSHA (Mine Safety and Health Administration) legislation. The entire range of Checkers® chocks are superior to “traditional” items both in material and design, their aviation chocks will not cause FOD (Foreign Object Debris) and Checkers® mining and heavy duty chocks will not cause punctures as seen in their metal ancestors. 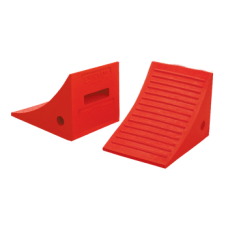 When choosing plastic wheel chocks you need to ensure that you are getting the right thing, get the wrong chocks and you may find that they fail and cause damage to property or even get someone hurt. 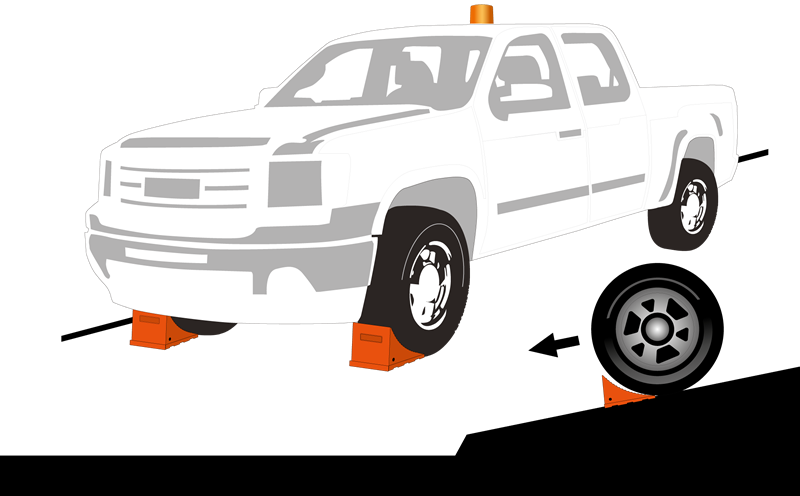 Choosing a chock that fits the radius of the tire of your vehicle is essential, get a chock too small and the vehicle may ride up and over it. Get chocks that are too large and they may not fit under the vehicle correctly. When calculating this you need to ensure that you take into consideration any load that may be in the vehicle at the time. For example, if your vehicle weighs 30,000 lb. but is carrying a load of 10,000 lb. you will need a chock set suitable for a gross weight of 40,000 lb. 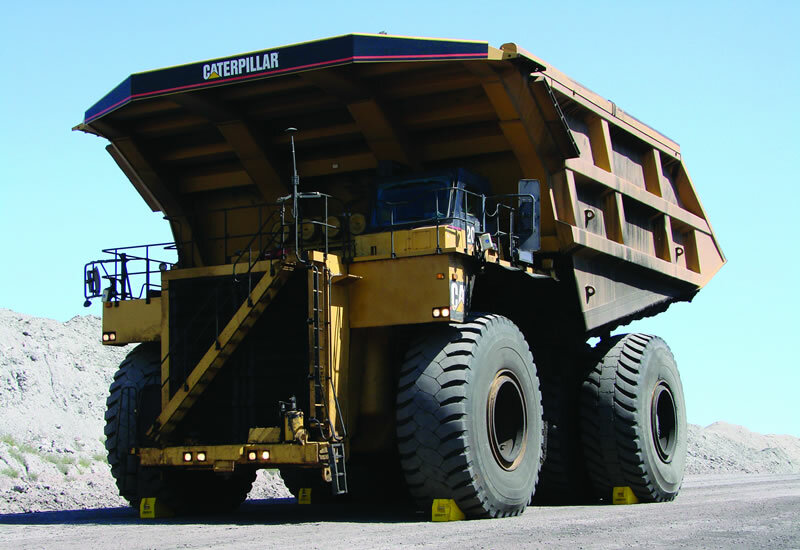 Different surfaces require different types of wheel chock to achieve optimal traction and prevent failure. 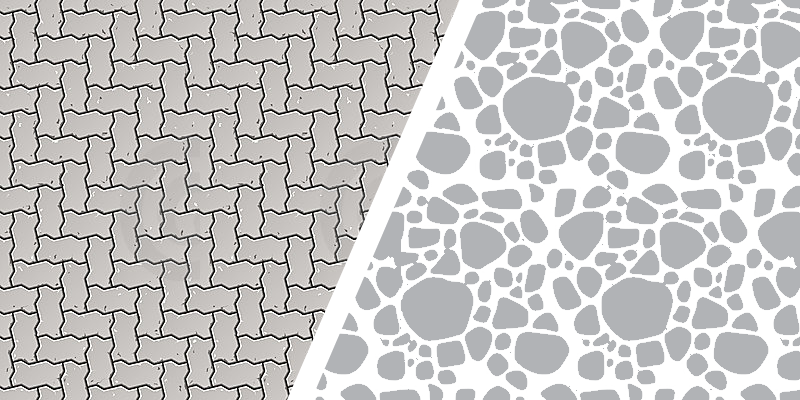 We have different base designs to accommodate use on gravel, asphalt, and paved surfaces. 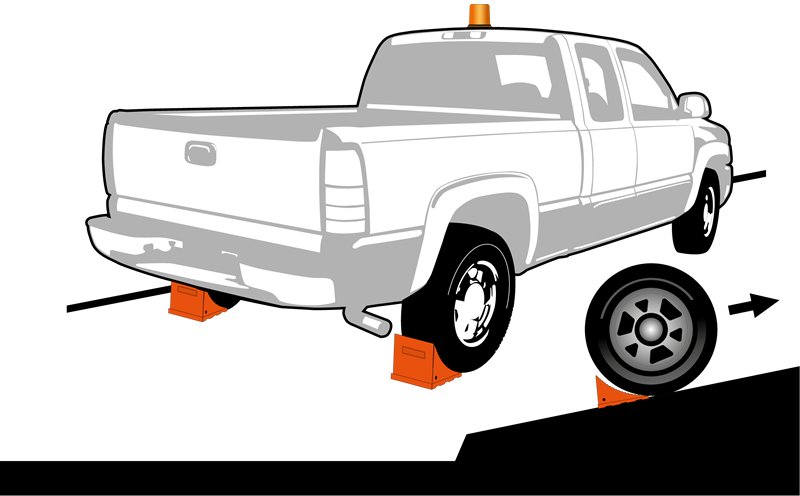 Choosing the incorrect chock for your application can cause slippage and cause the vehicle to break free. 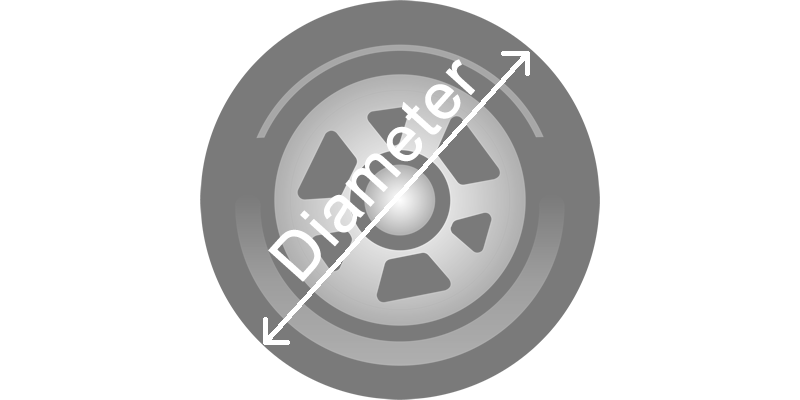 When chocking a vehicle on a level surface (or surface where you are unsure of the gradient) then both sides of both rear tires should be chocked. When the vehicle is facing downhill then both the front wheels should be chocked in front of the tires, this will prevent the vehicle rolling forward. 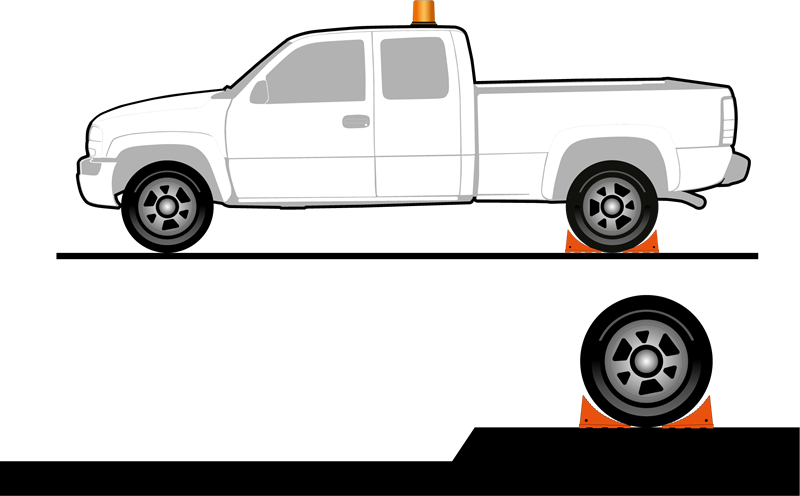 When the vehicle is facing uphill chock the outside of the rear tires (behind the vehicle) on both sides of the truck, this will prevent the vehicle rolling backward downhill. Why Should You Use Checkers® Wheel Chocks? Checkers® are one of the largest wheel chock manufacturers in the world. The most popular chocks used by the mining industry are made by Checkers®. 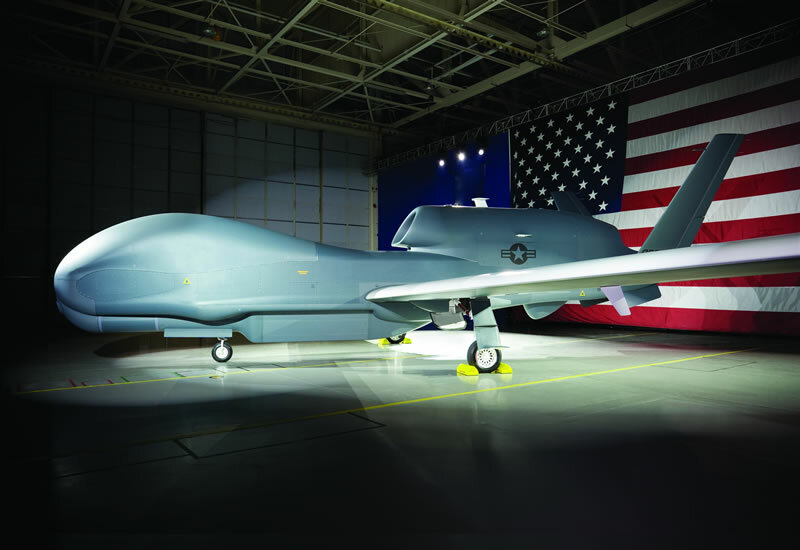 Made in the U.S.A. supporting American jobs. All Checkers®chocks are designed to reduce wear and tire damage. User comfort is always in mind with most of the range incorporating an ergonomic carry handle. Checkers® will outlast traditional and solid rubber chocks and save you money! Made with high visibility colors – Most of the range is available in either high-vis yellow or orange, ensuring that visibility when in use is not compromised in any way. Not Painted – As these are made with a clean, colored material throughout you will not need to worry about paint chipping or scratching the surface and reducing visibility. 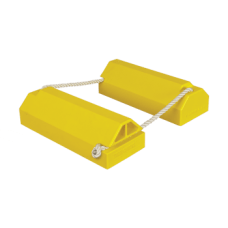 Easy to transport – These chocks due to their design are generally lighter than their traditional counterpart, making them easier to transport. Resistant to Fuel, Oil & Lubricants – All things that are commonly found on airstrips, mines, farms and in factories. These chemicals can damage and deteriorate traditional chocks, but Checkers® plastic chocks are designed to stand up to contact with these commonly found chemicals. High load bearing capacity – The polyurethane used in the production of Checkers® wheel chocks is not only UV stabilized but also able to take heavy loads, and impacts without distorting or suffering damage. As there are not any sharp edges, these chocks are not only ergonomic and user-friendly, but they are not able to cause punctures to tires like a traditional metal chock. 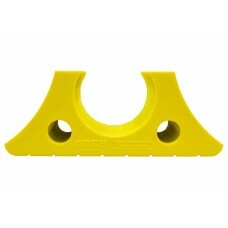 Molded-in carrying handles are free from jagged and sharp edges making the chock far easier to transport and handle. As these quality wheel chocks are non-metallic they are non-conductive further improving safety, they have no scrap value, reducing the risk of theft by scrap metal thieves. When compared to wooden chocks the Checkers® alternative highlights many shortfalls of the traditional chock. Wooden chocks have a tendency to rot and chip, this can cause problems with FOD on an airfield, which can have catastrophic results. 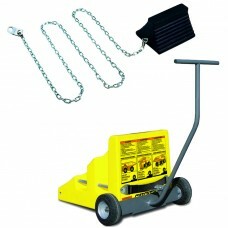 The Checkers® chock will also not absorb water and become excessively heavy, making them easy to handle. 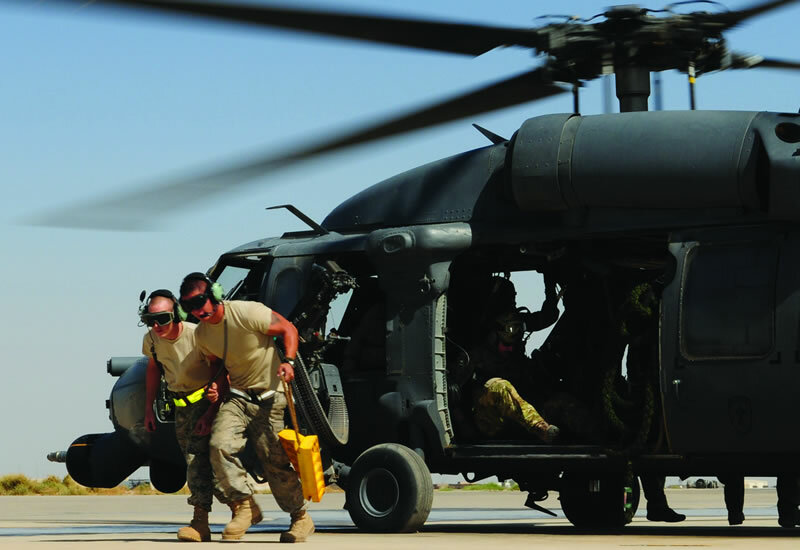 They are tethered together with a durable rope that again is weather resistant. Checkers® wheel chocks are far lighter in weight than traditional solid rubber chocks, they are also weather and abrasion resistant, so will not dry rot, chip and split like rubber products sometimes do, this will reduce FOD on airfields improving aircraft safety. 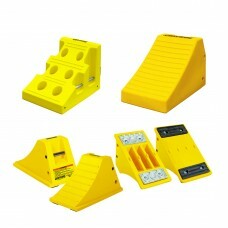 They are the ideal replacement for deteriorating rubber wheel chocks due to their high build quality and long lifespan. 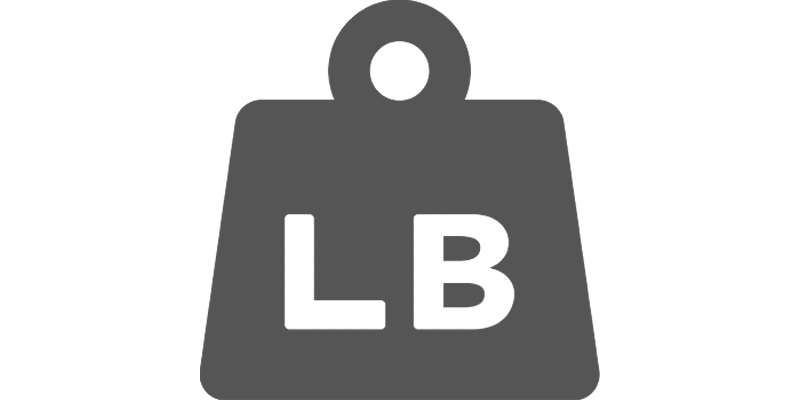 Please note: Diagrams and tables are shown only as a guide and are for land vehicle use only. There are many impacting factors in wheel chock selection including, gradient, wheel diameter, vehicle load, tire pressure and condition of the ground surface. It is your responsibility to monitor these factors for changes and make the appropriate adjustments. For further information please consult Checkers® website.